From the top of the device, insert the eject tool (from the original box) into the SIM / microSD slot. If the eject tool isn't available, use a paper clip. The tray should slide out. 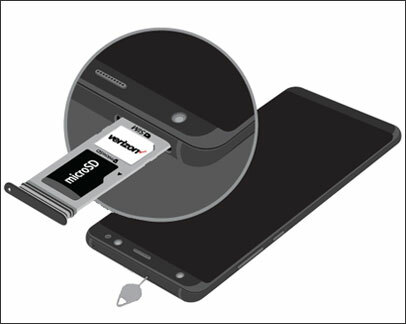 Remove the microSD card then close the tray. Check out the interactive demo para más información.